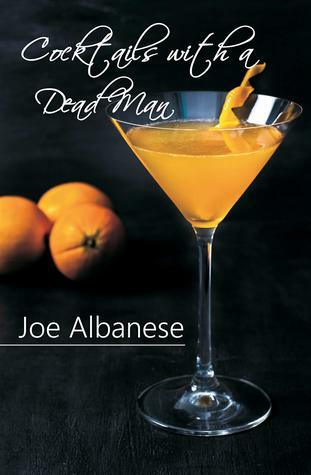 Joe Albanese’s collection of poetry in Cocktails with a Deadman beautifully captures the rawness and realness of the multiple moments most of us experience in our lives. From the inability to find work in our high unemployment rate to the desire for something more in life, Albanese addresses a number of topics that most of humanity has experienced at one point. Elegantly written with a variety of poetic formats, Albanese’s collection of beauty is a must read for both the lovers of poetry and those who steer far from it. A collection of 74 poems, including 51 that have previously been published in various literary magazines across the U.S. and in nine other countries. Thank you again Joe for allowing me the privilege of reading your collection of poems. Poetry is one of my favourite forms of literature to read — there’s something rather magical and enchanting about reading a piece of literature that focuses primarily on the written word to convey a message without stating it in the most blatant way. Cocktails with a Deadman was not only an incredible joy to read, but it also brought back my desire to read more poems and rekindle my own poetry writing. CONTENT & TRIGGER WARNING: This book contains moderate loss and loneliness (closely related to topic of depression). Albanese’s poetry is hauntingly beautiful and intricate, yet simple. A large number of individuals stray from reading poetry due to this unnecessary need to use overly complicated terminology and imagery. The language use in this collection is absolutely divine, for Albanese is very careful and particular with his word choices. Furthermore, there’s no magical key to unlocking the secrets in his poems. The messages are fairly clear, catering to both frequent poetry readers and to those who may not be accustomed or comfortable reading this type of literature. The language use in not only comprehensible — it produces vivid images that make the reading experience even more memorable. Albanese uses imagery from common day events to entice readers, descriptions to the “little things” we do that go unnoticed yet have powerful statements. Simple pleasures such as standing in the rain, trying to grab all the water in our palms — not only does this reference a childlike wonder of the nature around us, but it also depicts the impossibility of this act yet we still try to. Writers always focus on the BIG things…Albanese’s attention to detailing the little yet influential moments makes this a more comforting and relatable read-through. A multitude of topics are discussed in the poems that are not only relatable, but also tackle a number of important issues many refuse to address. Albanese isn’t afraid to speak the truth when it comes to highlighting key issues that certain persons within society refuse to acknowledge or attend to — difficulty finding a career draws attention to the flaws in our current society and government structures…the inability or struggle to have the same choices and access to services as others indicates the limitations different social and working classes have in comparison to those with more privileges — the list goes on. Albanese also presents more personal poems, discussing struggles with sleep due to anxiety and this strive for change though we are creatures of habits. For those who love diversity in types of poetry, this collection will suit you well. Free verse appears to be the most common type of poetry presented in Cocktails with a Deadman, but there are other forms that appear. Personally, I’m a particular fan of free verse as it feels more natural. However, the change up every couple of poems made for a nice “break”. Though there are a variety of topics, there was no real flow in regards to subject matter. Yes…this is a collection — meaning there doesn’t HAVE to be a flow “content wise”. However, there’s something very lovely when reading a collection of poems that flow from one topic (i.e. abandonment) to another (i.e. love or human connection) — the feel of reading a story in poetic form from start to end is wonderful. This feeling may not appear if you read a little bit at a time, but I read the entire collection in 2 days — thus, this may be slightly biased. As much as I love abstract and free verse poetry, some of the works went a little over my head. Sometimes, the point of poetry is that it just isn’t meant to make sense for that particular person…I know, weird statement. But that was my issue — even though I had a good comprehension of MOST of the works, there are a number that I’ve re-read multiple times and still don’t quite know what Albanese was trying to convey. Albanese’s Cocktails with a Deadman is such a fantastic collection of poems — it’s been a wonderful experience getting back into reading poetry. Even though I didn’t quite understand a handful of poems, I firmly believe you aren’t meant to comprehend all pieces of poetic works. I would’ve LOVED to write an essay on a number of the poems in this collection during my English Literature studies and connected it to the worldly events today — Albanese did SUCH a great job on addressing these topics, in addition to the human psyche. Also, the title is PERFECT — during my read, I felt that “sitting at a bar and having drinks, listening to someone talk about their most inner thoughts” vibe. If you are looking for some poetry to gander through or simply looking for your next read, make sure to pick up a copy of Albanese’s Cocktails with a Deadman.